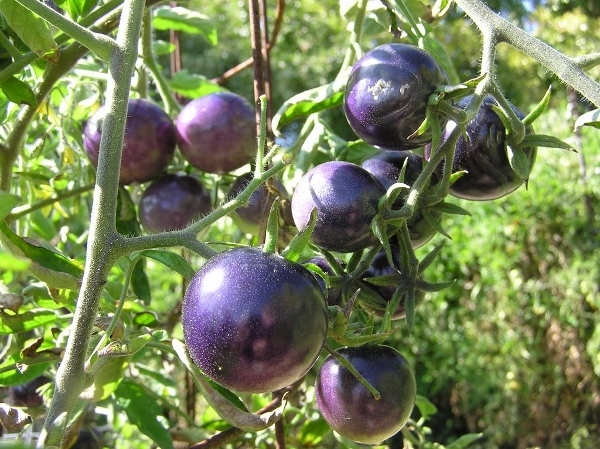 Maria Elena is the largest native chile I grow. I've been selecting for size and vigor for a number of years. the original seed was from Alcalde, just north of us along the Rio Grande. The flavor is mildly spicy and the size and thicker walls make these chiles perfect for chile rellenos. The peppers average 10-12 inches long under good conditions. 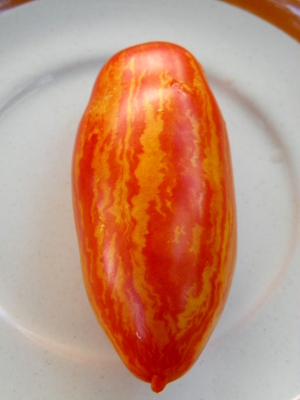 The photo shows a comparison with standard chile from Alcalde. 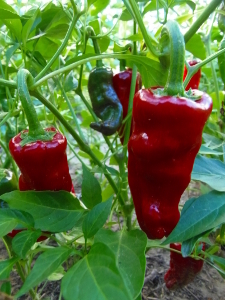 Maria Elena turns bright red in about 90 days from transplanting or 120 from direct seeding in the field. A packet contains approximately 75 seeds.